Seabourn is returning to Alaska & British Columbia again this summer, with the first sailings this month. The world’s finest ultra-luxury cruise line has curated a selection of voyages on Seabourn Sojourn sailing out of Anchorage (Seward), Alaska and Vancouver, British Columbia. The itineraries offer luxury travellers opportunities to visit to some of the region’s most popular destinations, along with rarely visited ports throughout the Inside Passage. "Ventures by Seabourn" - optional, guided kayak and Zodiac tours led by the line’s world-class and highly travelled expedition team, are also available. With its small ship, club-like atmosphere and award-winning onboard luxury, Seabourn is the perfect way to explore America’s Last Frontier. The intimate size and maneuverability of Seabourn Sojourn – which accommodates 458 guests, all in spacious ocean front suites, most with verandas – guarantees wonderful views of this extraordinary part of the world. Depending on the itinerary, Seabourn’s Alaska & British Columbia voyages include calls to rarely visited locations such as Alert Bay and Klemtu, a town of fewer than 500 people belonging to the Kitasoo Native Band and where guests will enjoy an exclusive cultural experience as an inclusion of the voyage. 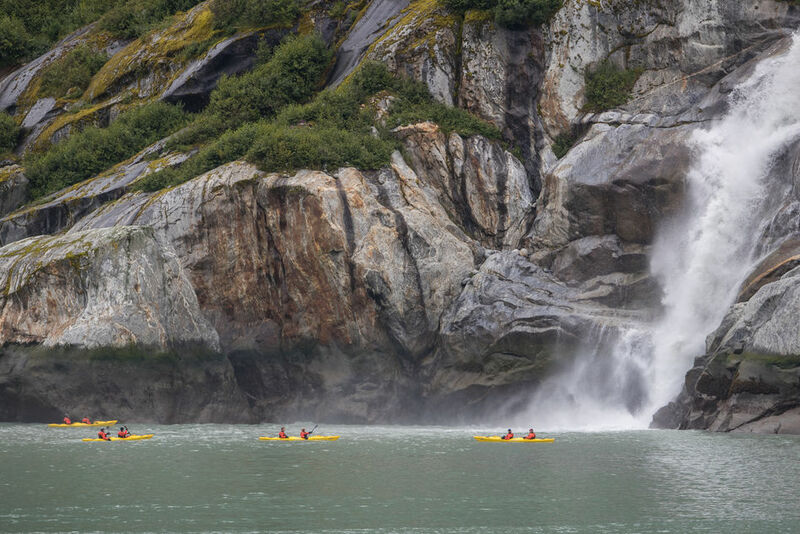 Access towering forests along the Inland Passage, the sights and sounds of Holgate Glacier, and the graceful breaching of humpback whales in the Kenai Fjords. 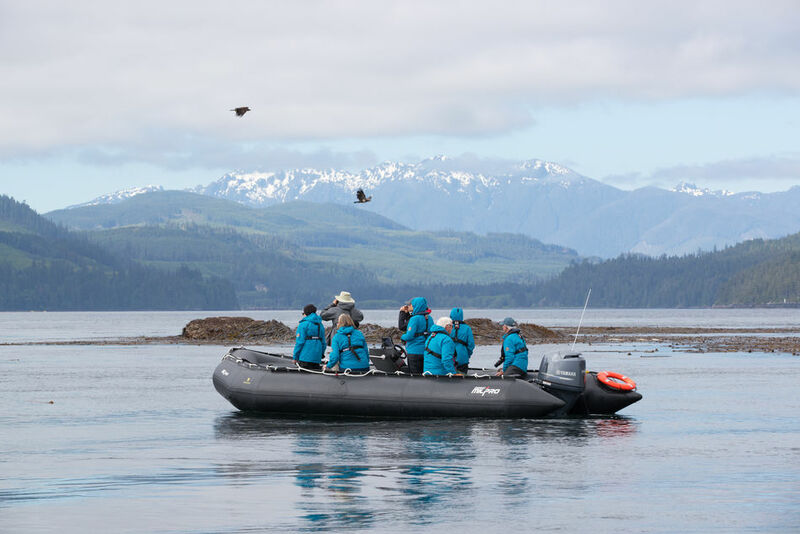 Guests can explore cities and towns including the state capital of Juneau, colourful Ketchikan, and historical Sitka, whose Tlingit roots go back 10,000 years. In certain areas such as Misty Fjords, they will be able to explore wildlife-rich waterways, forested mountain vistas and lacy waterfalls up close via Ventures by Seabourn, an innovative optional for-charge programme of Zodiac and kayak excursions led by Seabourn Sojourn’s expedition team of naturalists, science, wildlife and historical experts. The same expedition team will interact with guests throughout each sailing, including complimentary formal presentations, and on deck, pointing out, interpreting and enhancing desirable locations as well as in more casual conversations over meals or at leisure. In addition, Seabourn is offering the Denali Experience, an exclusive and optional Seabourn Journey available before or after select Seabourn Alaska voyages. The five-day Denali Experience is a fully escorted, custom-designed overland adventure promising awe-inspiring wonder with luxury accommodations and culinary options. Venturing into the Great Land, Seabourn guests will soar high above glaciers during a sightseeing flight, as well as head deep into the protected wilderness of Denali National Park with a guide to spot grizzly and black bears, wolves, moose, caribou and more. Seabourn Sojourn’s season in Alaska & British Columbia operates throughout the summer, wrapping up with a 12-day “Ultimate Alaska & Inside Passage” voyage departing from Vancouver on September 25.